Now you can customize your carry case by adding Custom Embroidery to your order. We can add one or two lines of embroidery to the top zippered flap of your case, in about the middle two-thirds of the flap. 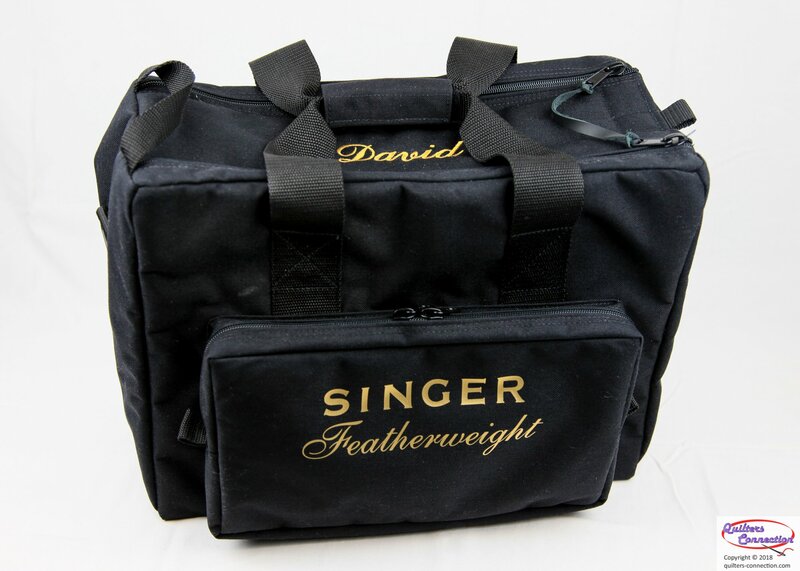 Choose your own name, your Featherweight's name (we know many of you give your machine a name! ), or maybe the serial number and year of your machine. Just remember, the longer the message, the smaller the font is going to have to be to fit it in the zone. After you order your case (and optional heat-transfer Logo), choose one or two lines of Embroidery. When we receive your order we will contact you to confirm what you want to say in the embroidery. Please allow 2-3 weeks for custom embroidery.